Background/aim: To determine the color alterations of natural teeth associated with different orthodontic composites used in comprehensive short-term treatment. Materials and methods: Twenty-two patients were treated with ?xed appliances and 22 untreated subjects were also evaluated. Lower incisors were bonded with different orthodontic composites: 42 with Grengloo, 41 with Light Bond, 31 with Kurasper F, and 32 with Transbond XT. The color parameters of the Commission Internationale de l&apos;Eclairage (CIE) were measured for each tooth with a spectrophotometer. Color assessment in relation to time, adhesive material, and their interaction was made with 2-way mixed analysis of variance (ANOVA) and 1-way ANOVA for the color differences (?E*). Further analyses were done using Tukey&apos;s honestly significant difference tests and paired-samples t-tests. Results: The color of teeth was affected by treatment. The mean L* and a* values increased, whereas the mean b* values decreased. Total color differences of teeth demonstrated visible color changes clinically after treatment, ranging from 1.12 to 3.34 ?E units. However, there were no significant differences for color of enamel. Conclusion: Teeth may be discolored with fixed appliances during treatment. Moreover, contemporary orthodontic composites have similar effects of enamel discoloration. Kim-Pusateri S, Brewer JD, Davis EL, Wee AG. Reliability and accuracy of four dental shade-matching devices. J Prosthet Dent 2009; 101: 193–199. da Costa J, Fox P, Ferracane J. Comparison of various resin composite shades and layering technique with a shade guide. J Esthet Restor Dent 2010; 22: 114–124. Al Maaitah EF, Abu Omar AA, Al-Khateeb SN. Effect of fixed orthodontic appliances bonded with different etching techniques on tooth color: a prospective clinical study. Am J Orthod Dentofacial Orthop 2013; 144: 43–49. Karamouzos A, Athanasiou AE, Papadopoulos MA, Kolokithas G. Tooth-color assessment after orthodontic treatment: a prospective clinical trial. Am J Orthod Dentofacial Orthop 2010; 138: 537 e1–8; discussion 537–539. Eliades T, Kakaboura A, Eliades G, Bradley TG. Comparison of enamel colour changes associated with orthodontic bonding using two different adhesives. Eur J Orthod 2001; 23: 85–90. Silverstone LM, Saxton CA, Dogon IL, Fejerskov O. Variation in the pattern of acid etching of human dental enamel examined by scanning electron microscopy. Caries Res 1975; 9: 373–387. Eliades T, Gioka C, Heim M, Eliades G, Makou M. Color stability of orthodontic adhesive resins. Angle Orthod 2004; 74: 391–393. Corekci B, Irgin C, Malkoc S, Ozturk B. Effects of staining solutions on the discoloration of orthodontic adhesives: an in-vitro study. Am J Orthod Dentofacial Orthop 2010; 138: 741–746. Trakyali G, Ozdemir FI, Arun T. Enamel colour changes at debonding and after finishing procedures using five different adhesives. Eur J Orthod 2009; 31: 397–401. Wriedt S, Keller S, Wehrbein H. The effect of debonding and/or bleaching on enamel color - an in-vitro study. J Orofac Orthop 2008; 69: 169–176. Dietschi D, Campanile G, Holz J, Meyer JM. Comparison of the color stability of ten new-generation composites: an in vitro study. Dent Mater 1994; 10: 353–362. Iazzetti G, Burgess JO, Gardiner D, Ripps A. Color stability of fluoride-containing restorative materials. Oper Dent 2000; 25: 520–525. Chu SJ, Trushkowsky RD, Paravina RD. Dental color matching instruments and systems. Review of clinical and research aspects. J Dent 2010; 38 (Suppl. 2): e2–16. CIE. Colourimetry: Official Recommendations of the International Commission on Illumination. Publication CIE Supplement No. 21. Paris, France: Bureau Central de la CIE; 1978. Dozic A, Kleverlaan CJ, El-Zohairy A, Feilzer AJ, Khashayar G. Performance of five commercially available tooth color- measuring devices. J Prosthodont 2007; 16: 93–100. Karamouzos A, Papadopoulos MA, Kolokithas G, Athanasiou AE. Precision of in vivo spectrophotometric colour evaluation of natural teeth. J Oral Rehabil 2007; 34: 613–621. Chung KH. Effects of finishing and polishing procedures on the surface texture of resin composites. Dent Mater 1994; 10: 325–330. Kim SP, Hwang IN, Cho JH, Hwang HS. Tooth color changes associated with the bracket bonding and debonding. Korean J Orthod 2006; 36: 114–124. Eminkahyagil N, Arman A, Çetinşahin A, Karabulut E. Effect of resin-removal methods on enamel and shear bond strength of rebonded brackets. Angle Orthod 2006; 76: 314–321. Goodkind RJ, Schwabacher WB. Use of a fiber-optic colorimeter for in vivo color measurements of 2830 anterior teeth. J Prosthet Dent 1987; 58: 535–542. ten Bosch JJ, Coops JC. Tooth color and reflectance as related to light scattering and enamel hardness. J Dent Res 1995; 74: 374–380. Reno EA, Sunberg RJ, Block RP, Bush RD. The influence of lip/gum color on subject perception of tooth color. J Dent Res 2000; 79: 381. Johnston WM, Kao EC. Assessment of appearance match by visual observation and clinical colorimetry. J Dent Res 1989; 68: 819–822. Leibrock A, Rosentritt M, Lang R, Behr M, Handel G. Colour stability of visible light-curing hybrid composites. Eur J Prosthodont Restor Dent 1997; 5: 125–130. O’Brien WJ, Hemmendinger H, Boenke KM, Linger JB, Groh CL. Color distribution of three regions of extracted human teeth. Dent Mater 1997; 13: 179–185. Schwabacher WB, Goodkind RJ, Lua MJ. Interdependence of the hue, value, and chroma in the middle site of anterior human teeth. J Prosthodont 1994; 3: 188–192. Russell MD, Gulfraz M, Moss BW. In vivo measurement of colour changes in natural teeth. J Oral Rehabil 2000; 27: 786– 792. Hosein I, Sherriff M, Ireland AJ. Enamel loss during bonding, debonding, and cleanup with use of a self-etching primer. Am J Orthod Dentofacial Orthop 2004; 126: 717–724. ISNAD ÇÖREKÇİ, BAYRAM , TOY, EBUBEKİR , ÖZTÜRK, FIRAT , MALKOÇ, SIDDIK , ÖZTÜRK, BORA . "Effects of contemporary orthodontic composites on tooth color following short-term fixed orthodontic treatment: a controlled clinical study". 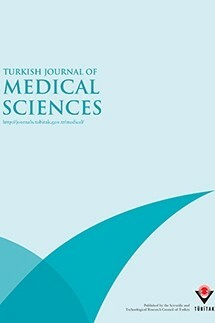 Turkish Journal of Medical Sciences 45 / 6 (December 2015): 1421-1428.